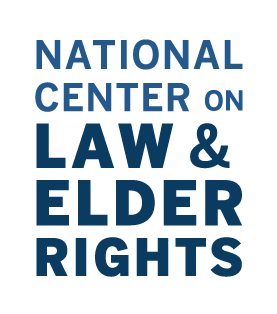 The National Center on Law & Elder Rights (NCLER) is a national resource center for the legal services and aging and disability networks, focused on the legal rights of older adults. Providing webcasts, trainings, written materials, and case consultations, NCLER is a one-stop resource for professionals serving older adults with the greatest economic and social needs. NCLER is administered by Justice in Aging in partnership with the National Consumer Law Center and the ABA Commission on Law & Aging, under contract with the Administration for Community Living’s (ACL) Administration on Aging. NCLER offers a National Legal Training Curriculum to the legal and aging network. Trainings are offered in eight areas. NCLER provides training and technical services to states and programs working to improve legal services development. NCLER provides practice tips and insight on emerging legal issues to professionals assisting older adults. NCLER provides free case consultation assistance for attorneys and professionals seeking more information to help older adults.